Have you every taken a flight on Christmas Day? Well, I did for the first time yesterday. 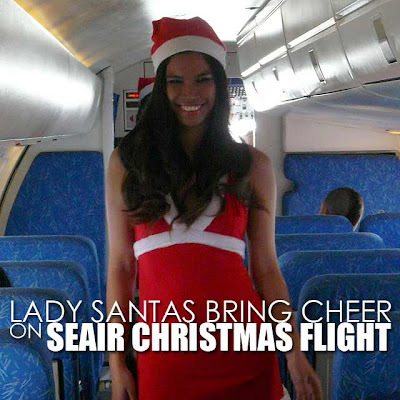 I took a SEAIR flight to Caticlan. And guess the surprise we got! Free goodies from SEAIR courtesy of two Lady Santas. 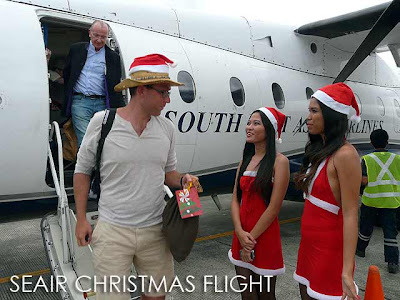 And we got our own Santa hats as well. 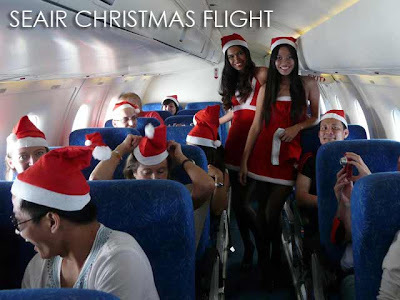 Here are the Lady Santas greeting the passengers as they get down from the plane in Caticlan. I was able to take some photos. Good thing many of the passengers took their own videos and I found this one on YouTube. So enjoy! I hope Glee's Puck enjoyed this Christmas surprise too.